Today is World Sight Day 2014. 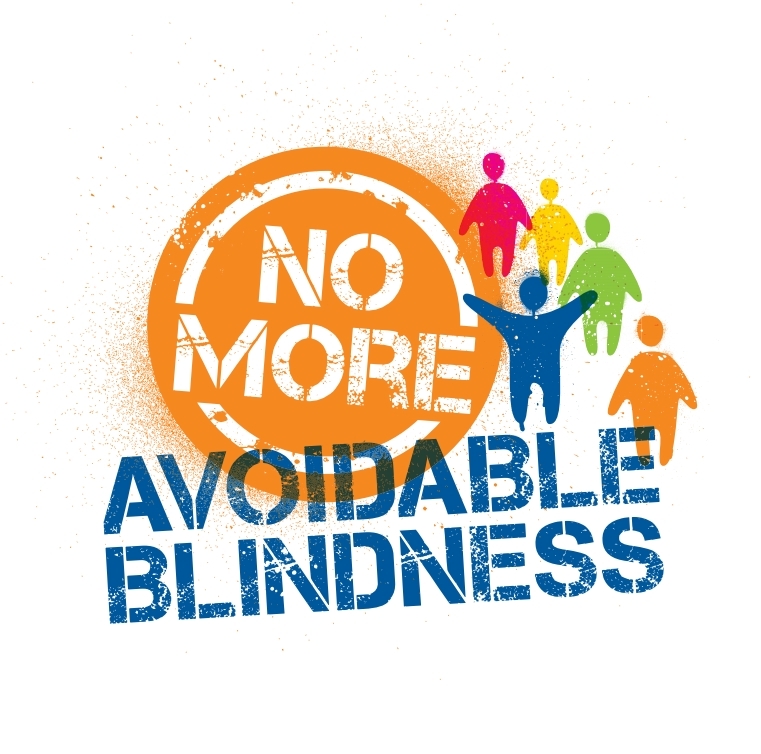 World Sight Day is a day of global awareness of vision issues, the call to action for this year is one that’s near to my heart: No More Avoidable Blindness. I’ve written before about how important it is for children to have their vision checked, and if they have an issue, to have it treated. Untreated vision issues in children can lead to a lifetime of vision difficulties and even blindness. It can affect their academics and their achievement and their quality of life. I know I’ve shared this infographic before (which has since gotten a face-lift for the Great Glasses Play Day), but I’m sharing it again with some of my thoughts, because it is so relevant to preventing avoidable blindness. The vision problems aren’t caught. Either because the child’s vision hasn’t been checked, or because a vision problem was missed during a screening. 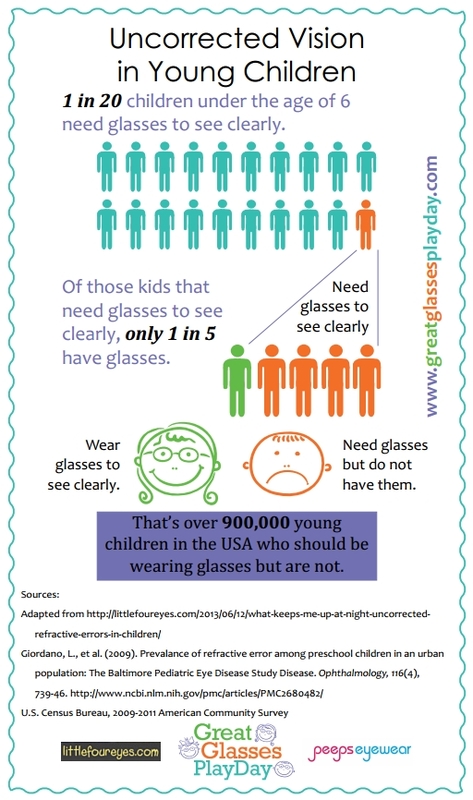 Even when a vision problem is found, a lot of parents don’t take their child for a follow up appointment with an eye care provider, either because they cannot do so financially, they don’t understand the importance, or they don’t believe their child needs glasses. Even when a child is given glasses, many are not wearing them a year later, usually because the glasses have been lost or broken. I know that I can’t solve all these problems, and thankfully, there are a lot of great groups out there already that are working on these issues. But I do think that we as parents here in the amazing Little Four Eyes community are in a unique position to help. The community here at Little Four Eyes has helped many parents feel better about their child needing glasses, and I hope has inspired at least a few to go ahead and follow up with an eye appointment and getting glasses if they’re needed. The annual Great Glasses Play Day each year in May is not just a day to get together to celebrate our kids in glasses, but it’s also a chance to raise awareness of just how important it is to catch and treat vision issues early. But I know there is more that we can do. I’d love to connect other parents who are interested in spreading awareness with childrens’ librarians and early childhood educators to help get the word out to parents before they take their child to a screening or exam. And I know a lot of you probably have great ideas and connections, and I’d love to hear about them! The statistics are telling. As a first time mom I didn’t know that an infant can have an eye exam as early as 6 months. I think an eye exam should be routine in a child’s first year of doctor visits. Reblogged this on A Night Owl's Journal.